It’s no secret that I’m a fan of playing with color, whether it’s brightly colored lipstick, jeans or heels. But one of my favorite ways to wear color this spring is to pair spring neutrals (white, cream, beige… the list goes on!) 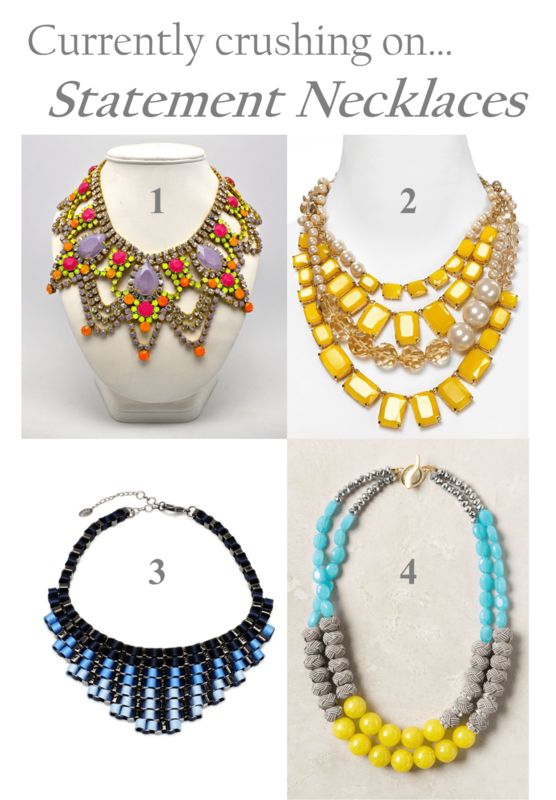 with a dramatic pop of color at the neckline with a gorgeous statement necklace. Take a look at my picks for a wonderful technicolor pop! So fun!! Love all of these 🙂 I saw #4 at Anthro a few weeks ago, it was even prettier in person!